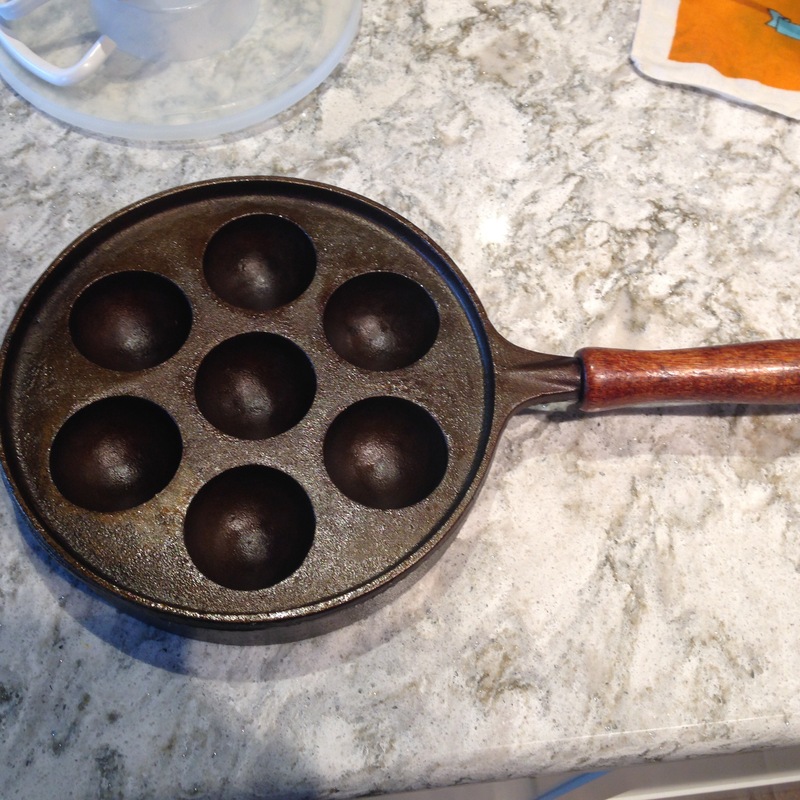 I inherited my mother’s Æbleskiver pan last year, but didn’t work up the courage to try it for myself until now. The pan had accumulated a bit of rust, so I rubbed it down with steel wool and then seasoned it again (rub with oil, bake upside down in 325 oven for 2 hours) to make it “non-stick”. 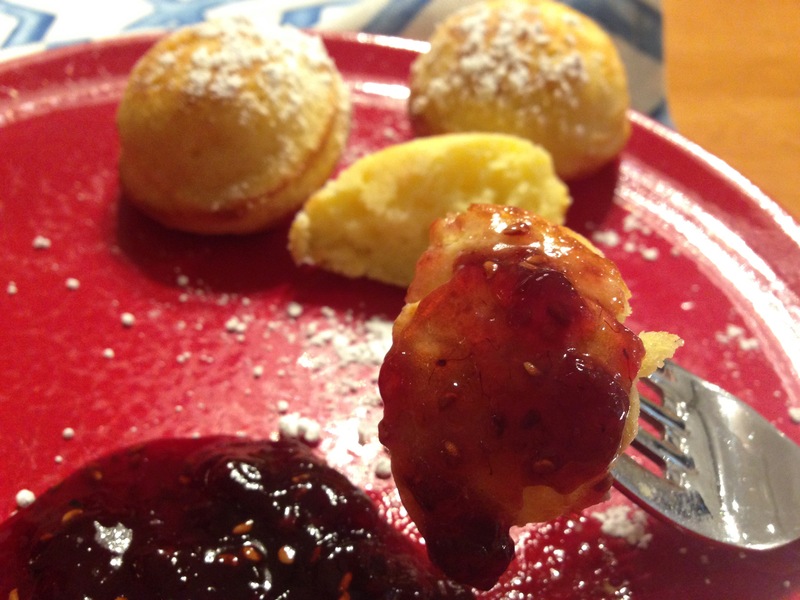 “Æbleskiver” are a fluffy Danish pancake/donut usually made around Christmas, but I bake so many other “traditionals” at that time, I decided fall was a good time to make them. I had seen her do it, but that is not the same as doing it yourself, as I have found with other things she used to make. LOL. They can be plain, or flavoured with a variety of things, but I like her recipe, which includes cardamom and lemon zest. 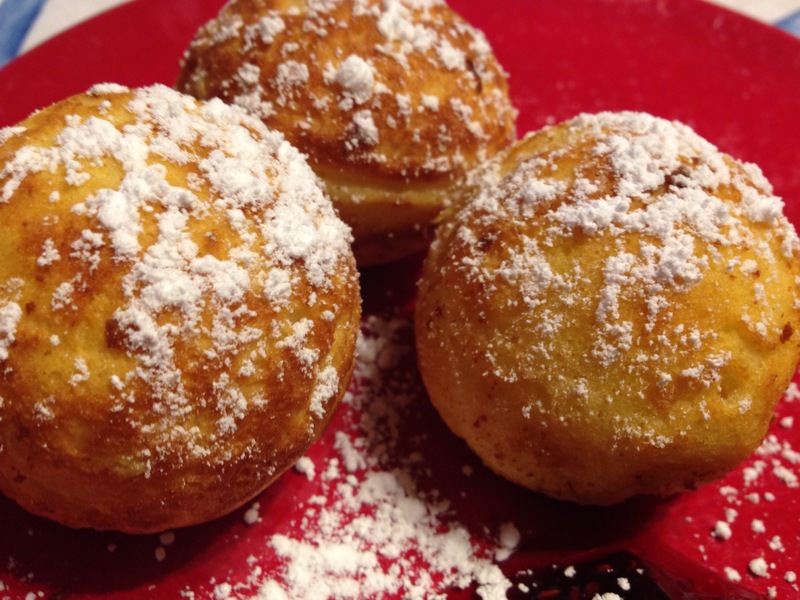 They are not sweet by themselves, so are often sprinkled with icing sugar and served with a bit of jam or applesauce. Whip egg whites and sugar until stiffly whipped. Set aside. Combine dry ingredients. Combine egg yolks and buttermilk. Mix together. Add melted butter and stir until combined. A few lumps are ok. Fold in the egg whites. Do not over mix. Heat the pan over medium heat. Cast iron takes a while to heat up. 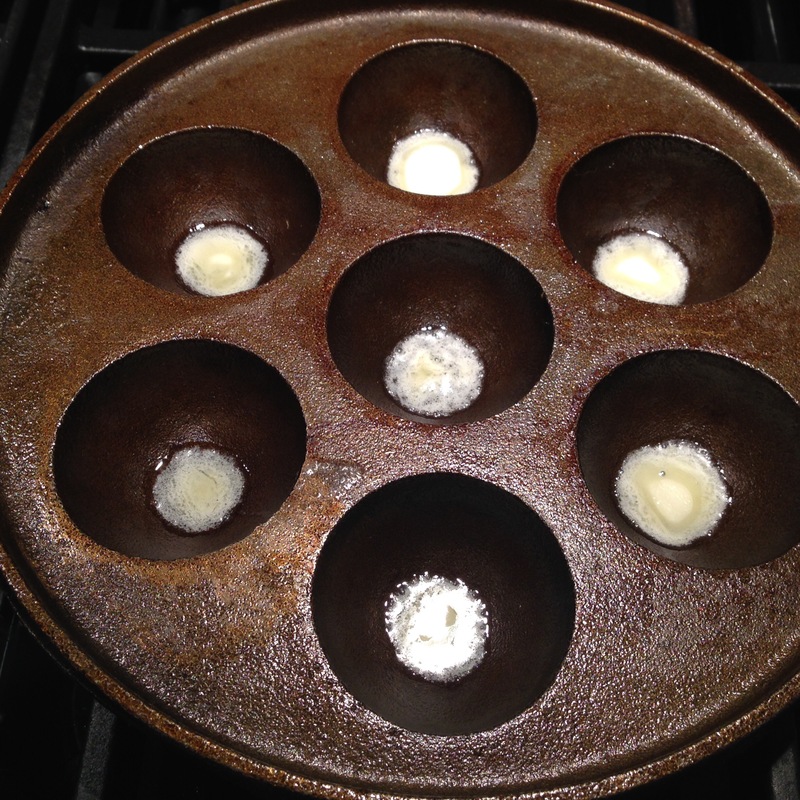 Add a small bit of butter to each cup of the pan. 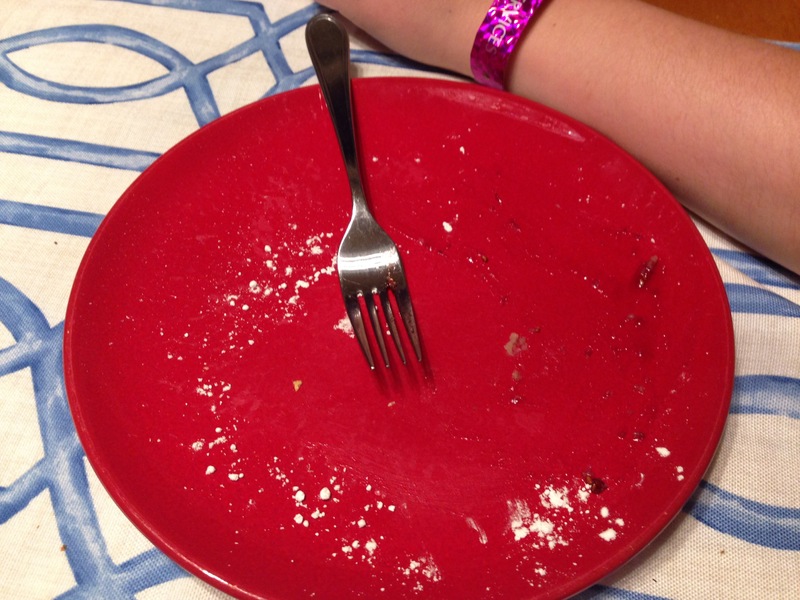 Use a pastry brush to swirl it around the sides. 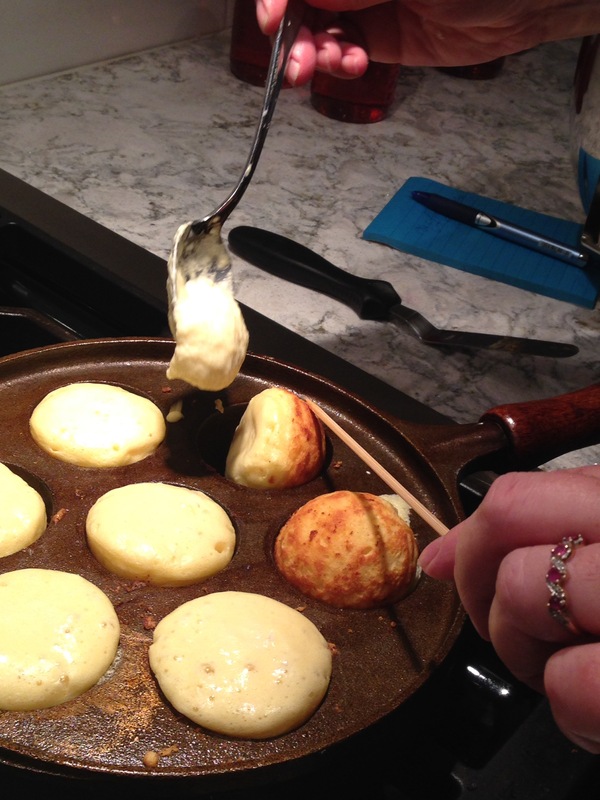 The butter should be sizzling, but not burning. Fill the cups 3/4 full. 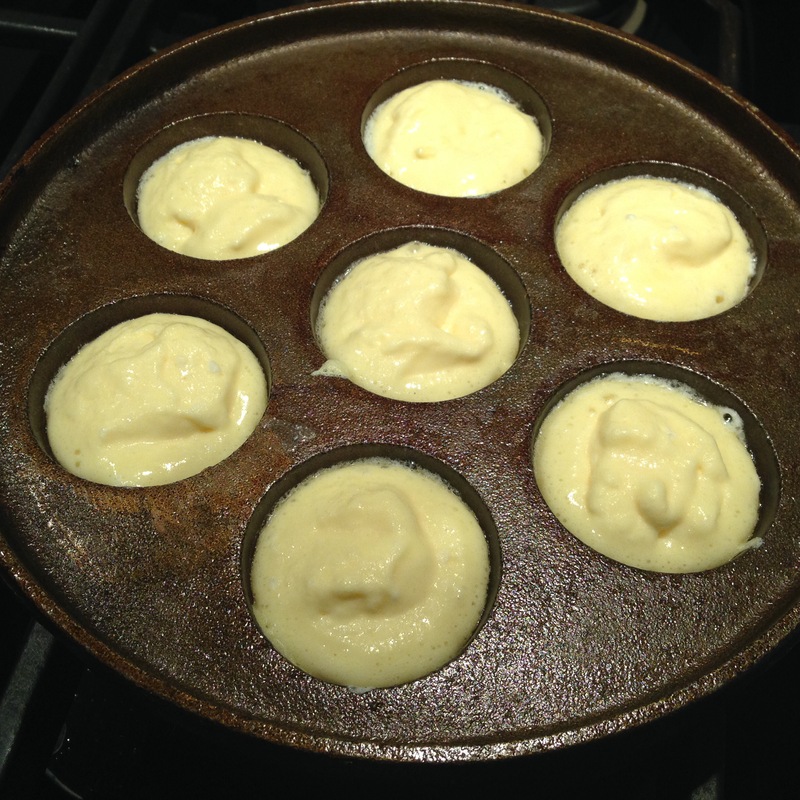 The batter will rise a bit, bubble and cook on the bottom. When you can tip the dough with a skewer, turn it 90 degrees from its original position and some of the uncooked dough from the top will spill into the bottom. 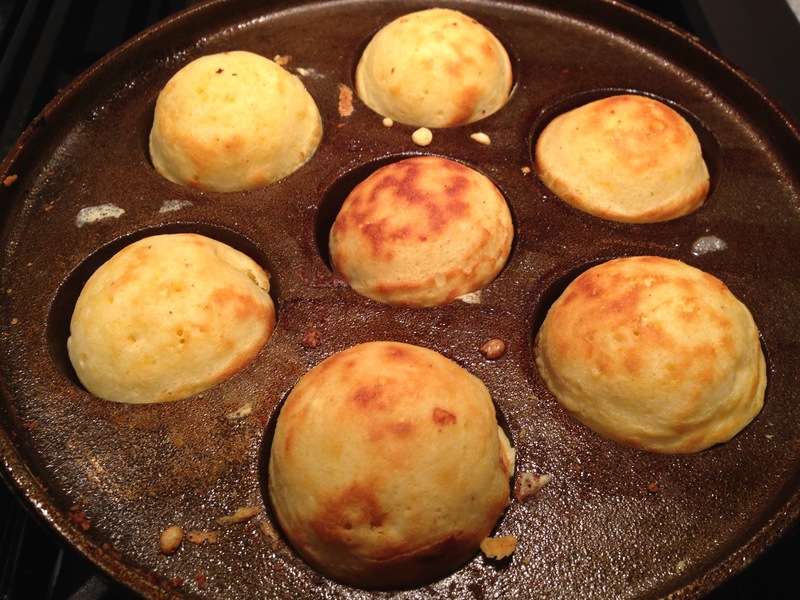 You can add a bit more if necessary and then continue the flip of the pancake so the cooked half of the sphere is on top now and the new batter is on the bottom. Continue cooking until bottom is cooked as well. 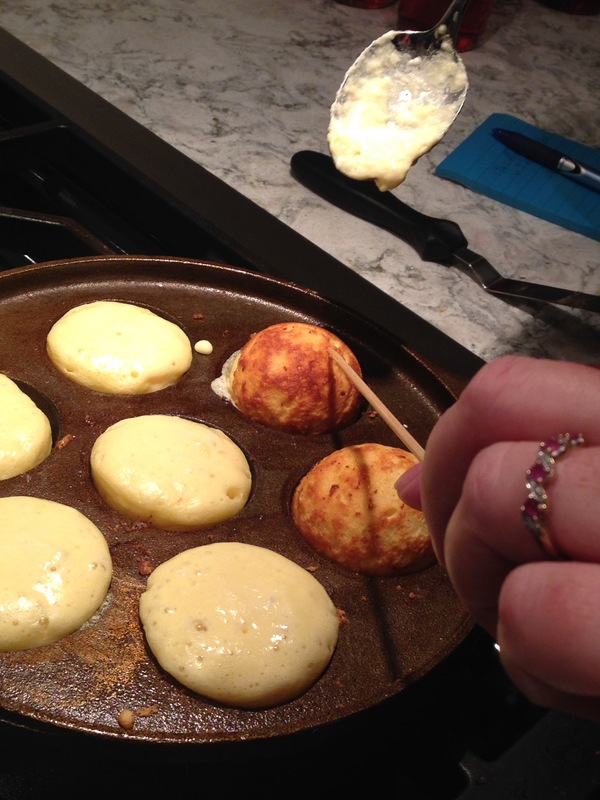 Use skewers to remove from pan and serve them up. 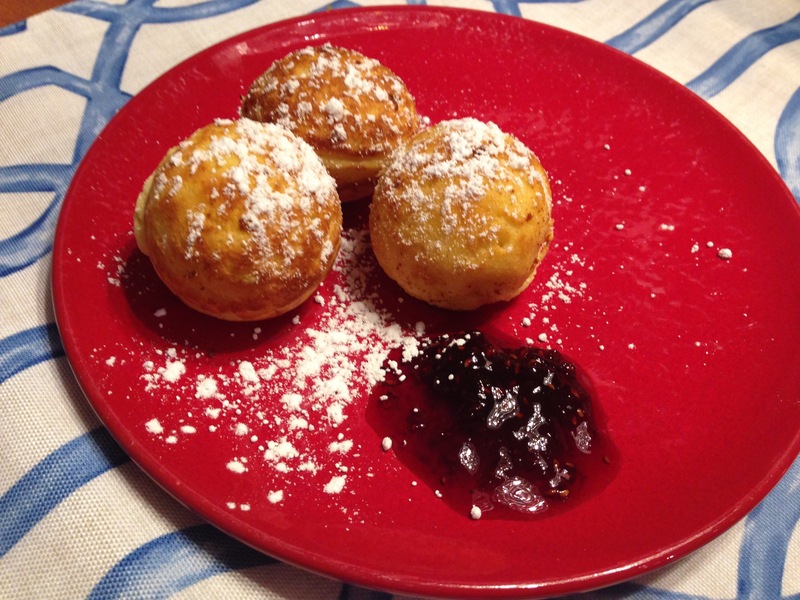 We had these ones with raspberry jam and icing sugar. Plain ones are nice with applesauce.